As you know the tax year starts on the 6th April in the UK. After that date self-assessment tax returns can be completed and submitted to HMRC. If you are self-employed under the construction industry scheme (CIS), you’ll be in a position to complete your tax return almost immediately. All you need is a note of your earnings from their various sources, together with your evidence of expenses, logs of mileage done for work. The completed tax return is submitted to HMRC for approval and your tax refund should follow a few weeks later. 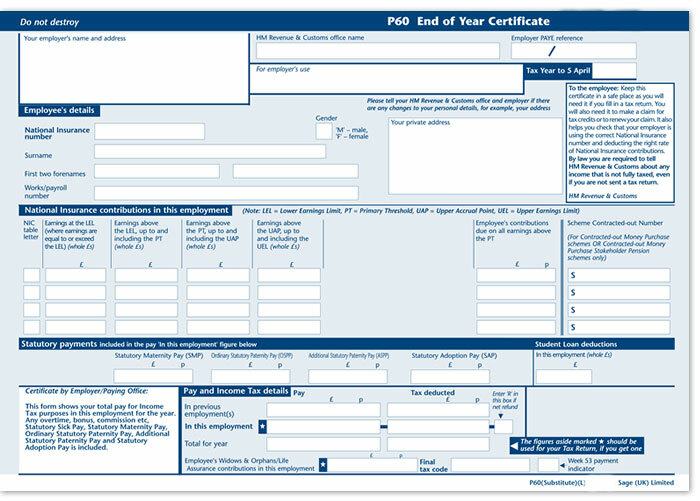 PAYE workers need to wait for their P60 End of Year Certificate. This indicates the amount you have earned and the tax paid. If you have had more than one employment during a tax year, you should have P45s to evidence earnings and tax paid during that particular employment. HMRC do have records of earnings and the P60, with those records should match. These P60s are generally issued in payslips during May. At this time HMRC also issues, and sends directly, a letter to say it’s time to complete a self-assessment tax return, if one was previously completed. As a client of ours, this is perfectly normal and remember that self-assessment does NOT mean self-employment! Your tax return can be completed as soon as you have your P60 and evidence of work expenses. Evidencing work related expenses comes in many forms and we can work with you to make sure your tax claim is correct, so that the resulting tax rebate is safe and secure. At Bettertax we work to HMRC exacting working practices – something very few tax agents do. As a sole-trader not having tax deducted at source, your tax return will be required to be submitted by 31st January in any year. So although you will receive your invitation to complete your return, you can wait until later in the financial year to complete it – just don’t forget to or leave it until the last minute! We can help reduce your tax bill, by the way! As always, any comments or questions, do ask :).